I really am such a lucky girl to have such wonderful friends and family. I was made to feel so so special the whole day of my birthday, which included receiving some wonderful presents. One thing I'm trying to do this year is read more which is why when anyone asked my what I wanted for my birthday I said books! Here's a few of the ones I was gifted by the lovely people in my life for my birthday. 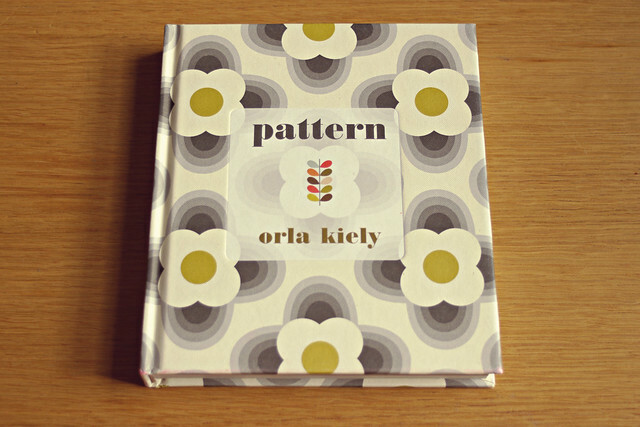 I've wanted Orla Kiely, Pattern for as long as it's been released. My friend Lisa got me the mini version which I didn't even know existed. It's so much easier to hold than the original larger version. I love this, it's great to take a look at when you're in need of some inspiration, or if you just want to look at something pretty! 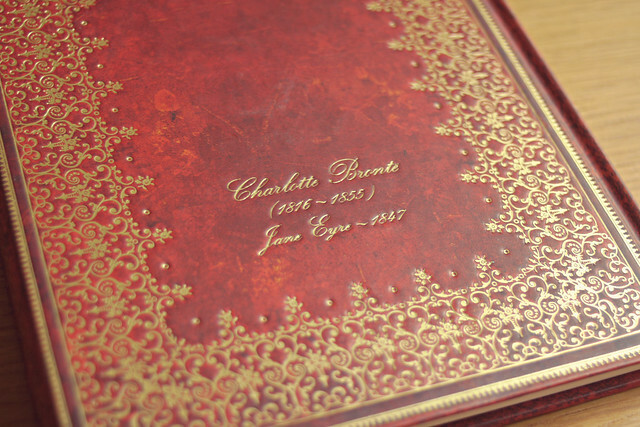 Lisa also got me this Paperblanks Charlotte Bronte Note Book which is actually funny because Jane Eyre is one of my favourite stories and I actually bought the book a few years ago and haven't read it yet so I will definitely be adding it to my list to read as soon as possible. I love stationary, I would seriously browse a stationary shop longer than any clothing shop. 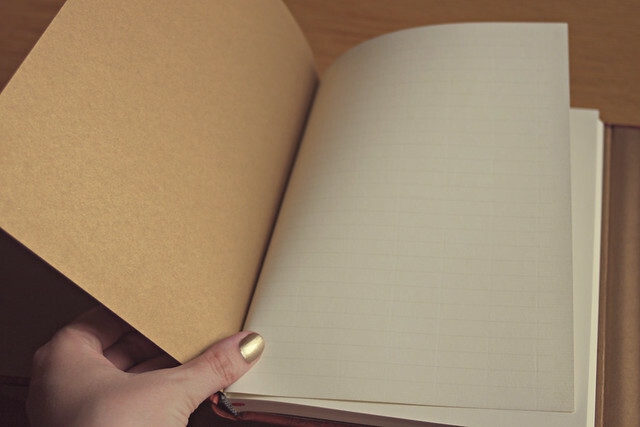 I adore this notebook, it is so gorgeous it's almost a shame to write in it! 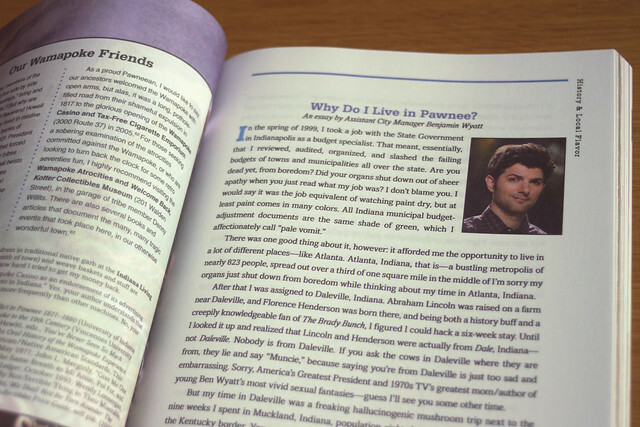 Donnacha got me Pawnee: The Greatest Town in America by Leslie Knope as one of my presents. If you don't watch Parks and Recreation then you won't understand what this is (it's written by a fictional character). 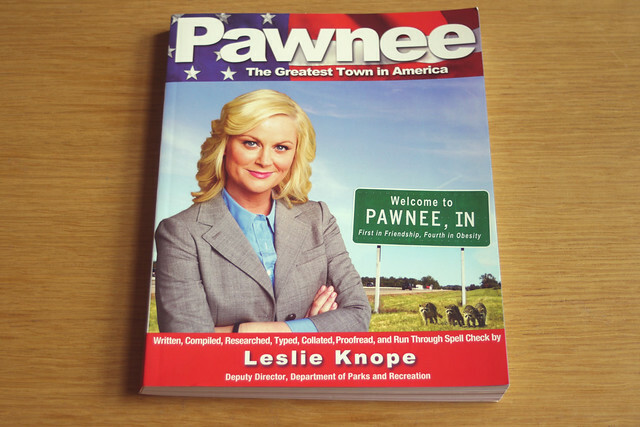 So instead of telling you about it I will urge you to watch Parks and Rec right now and then buy this book because it's amazing! I've mentioned before my recent enough discovery of the Nancy Comic Strip. 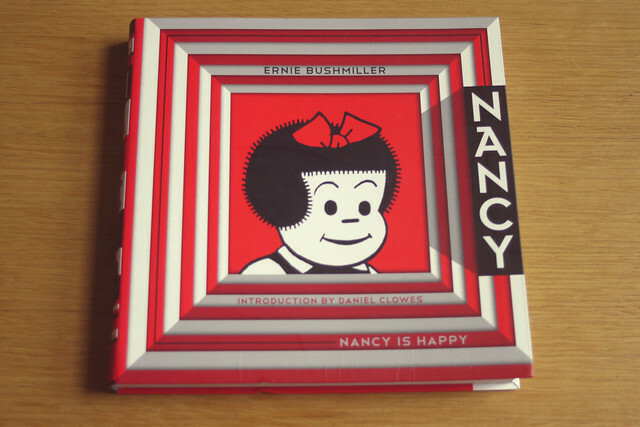 Donnacha also got me this Nancy is Happy Collection. 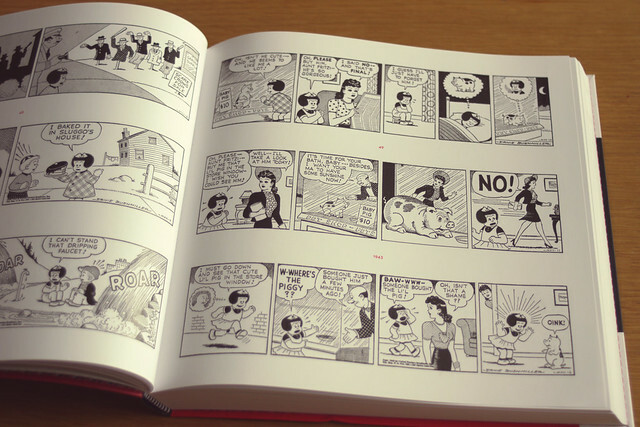 It is so cute and funny, I am obsessed with Nancy, I can't believe how funny it is after 70 years! Also pictured is Chuck Palahniuk Survivor and Paul Auster The New York Trilogy, I can't wait to read both of these as my friend got them for me because they are two of his favourites. What books have you read recently? Do you have any recommendations for me? Hi, Emma! I didn't realize they still made real books and it's gratifying to see that you received a stack of them. They're so much more pleasing than the electronic kind, don't you agree? I grew up reading the Nancy comics and it's great to see her familiar face here on your blog. She hasn't aged a bit! :) Bless you, dear friend, and have a wonderful week in Ireland! Happy birthday! 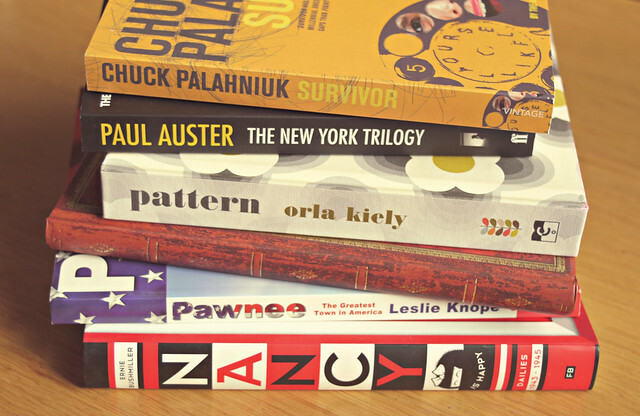 It's so nice to see people getting books =) I'd love that Orla Kiely one for my collection. 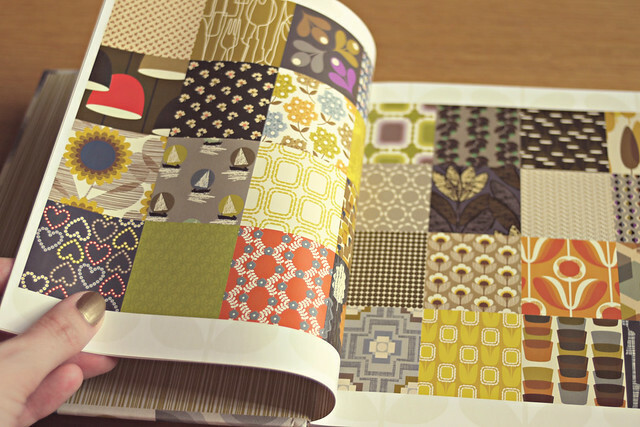 I definitely recommend the Orla Kiely one! The mini version is great! Happy birthday, dear! It sounds magnificent ! That's a pretty cool claim to fame Rosy! Love him! I know! I just wish I knew her, she seems like the best person in the whole world. 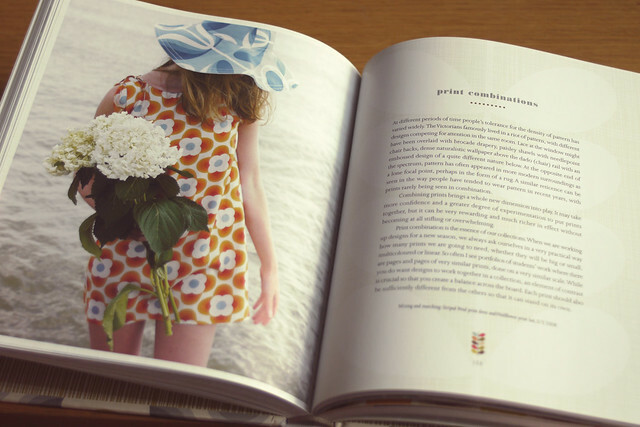 The book is great! Happy Birthday!! 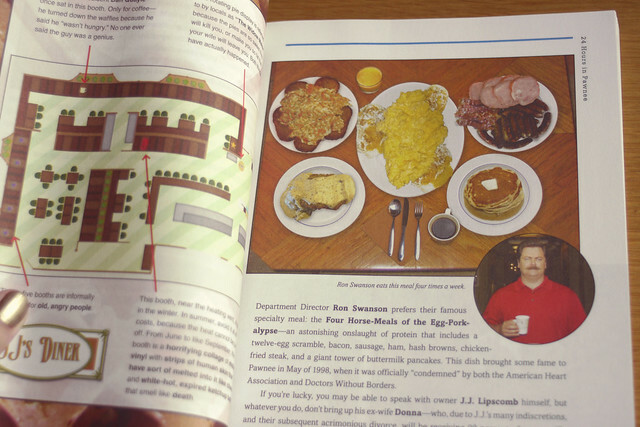 The Pawnee book looks hilarious! I'm definitely going to have to check that out! I'm currently reading "Sacre Bleu!" by Christopher Moore - if you aren't afraid of a mind like Palahnuiks and enjoy art history then you should definitely check it out, he's one of my favorite authors! Thanks Victoria! I'm just checking out yours now!